I wish life was a Disney film, in fact Disney was my favorite baby sitter growing up, which explains my non-stereotypical interest in Disney despite being an otherwise normal (yet psychotic) teenage male. must have been successful as Disney is now doing Sleeping Beauty for release in 2014. The cast looks excellent but most hype surrounds the first and only promotional picture released, that of Angelina Jolie as Maleficent. However I am not sure If I shall even see it, after seeing Mirror Mirror it really hit home how dark my childhood entertainment was, the darkest being Hunchback of Notre Dame, in case you don't remember how dark the story line, consult YouTube and search for the "Hellfire" music sequence from the film. And this Maleficent picture is really freaky, and being largely conservative in my choice of entertainment I don't know about this one. However there is no trailer yet so my judgement is reserved. 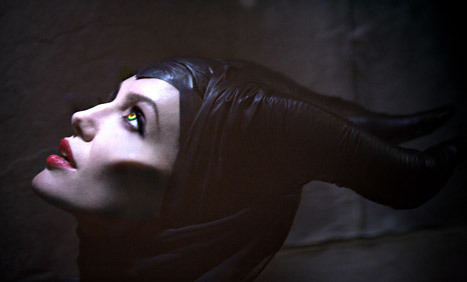 Maleficent has been my favorite Disney villain for a long time. She's a true villain, in every sense of the word. But, like you, have been surprised at how dark my favorite stories were. I've reread my favorite books (the real versions) and been a bit surprised by the tragedy and darkness.